Need to set an appointment? Have a question? Welcome to our family of patients. Thank you for considering us as your personal dental care team. We will strive to make your relationship with us a pleasant and rewarding one. A firm foundation is needed upon which we can base recommendations for your dental health. Therefore, we will complete a thorough oral health and cosmetic dental examination during your initial appointment. Following this initial appointment, we can schedule for your dental needs. Preventative dentistry is the most important service we have to offer. We will show you how to control your own dental health and maintain your beautiful smile. Preventative examinations on a regularly scheduled basis will give you the maximum opportunity for long-term dental health. Good communication is essential to forming a satisfactory relationship. If you ever have a concern about any treatment, fee, or service, please feel free to discuss it immediately and openly with any of our team members. We welcome your comments and suggestions, and want to do everything we can to make your visit a pleasant experience. 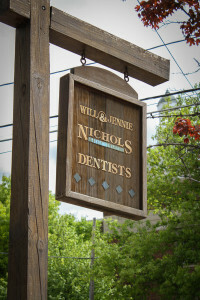 Creating and maintaining your oral health is our primary goal. Thank you for giving us the opportunity to pursue this goal with you!